A recent article in the New York Times discussed how to use Wi-Fi securely. They write that you should really take steps to secure your connection to the internet, be this at home, in your office or using a public Wi-Fi hotspot. The latter probably posses the most risk, so see our section below about how you can protect yourself on public Wi-Fi. Hacking Wi-Fi connections, and in turn peoples passwords to websites, is easier to do than you think. 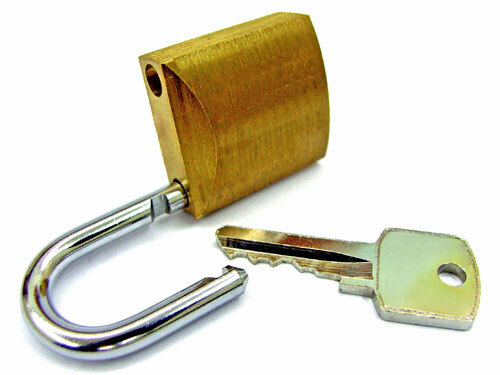 It’s not always the case that they are as secure as you might imagine. With the right knowledge and the right software people can gain access to your network within a few minutes. We send vast amounts of sensitive information over the web and you should be conscious about how your data is stored and how your transmit it. We won’t discuss the data side of things in this article, but you should be aware about what data you share with websites. Here we will focus on the part of transmitting your data. If someone is able to gain access to your email account or other accounts, there could be serious consequences. There are a few steps that you can take to insure that you are as safe as possible. Using a strong password, i.e. a long password with numbers and symbols. Use websites that offer HTTPS (secure web connection when possible). For example facebook has an option in their security settings where you can insure that your passwords can’t be stolen over the air. Avoid connecting to open unsecured networks, i.e. Wi-Fi hotspots. Using a VPN to encrypt your traffic over Wi-Fi. 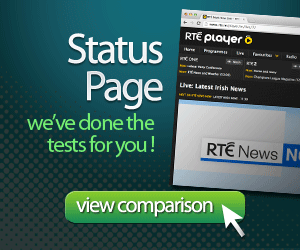 A VPN sends all your internet traffic via a 3rd party server. The first leg of your traffic will be encrypted, as far as the VPN server. Then from the VPN server the traffic will continue as normal. This avoids the operator of the internet connection seeing what you transmit. Your IP address to the outside world will be one from the VPN server, so it will be possible to be anywhere in the world, but still have the IP address of the VPN server. Corporations use VPNs to limit connection to their internal networks from outside their network. Wi-Fi connections are broadcast over the air, it’s possible for anyone to grab this stream of data, and it’s particularly important that your connection is secured. The same can be done for LAN cable connections, but for a Wi-Fi connection the person just needs to be within the broadcast range, to capture your traffic. 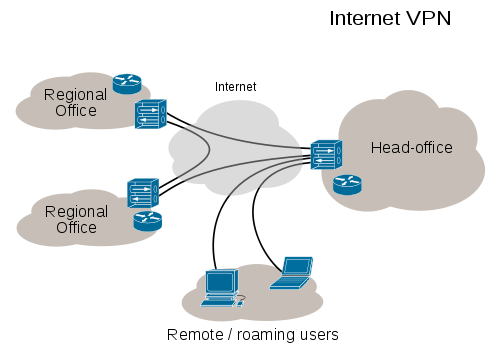 Here is a diagram of how connection via a VPN is possible. One further risk is when you use an internet connections in hotels, internet café’s or other public networks. Even if it’s a paid connection it could still pose dangers to connect to. You should always take precautions when transmitting your data over these 3rd party networks. You don’t know whether the provider of the internet connection is as honest as you expect. If you are using the internet for work purposes or with other sensitive data like banking, booking flights, etc, then you should consider encrypting this using a VPN. This will remove the danger that the operator of the network is snooping in on your connection, as the only traffic they see is between you and the VPN server, which sends it encrypted. 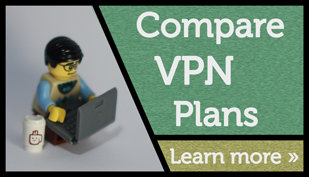 For VPN plans we recommend checking our our VPN comparison chart, where we test and rate each of the VPNs on the list. There are charges for these services, but when it comes to your security the fee of €7-€10/month it’s well worth the price. 4 Responses to "Secure your internet connection"
The only problem with this approach is that you’re essentially just shifting your trust from a sketchy internet cafe to an unknown VPN provider. Why should you necessarily trust one over the other? Ok, that might be adding a layer of paranoia, but depending on your data, it might be worth taking into account. For real peace of mind, your best bet is to get a VPN-capable home router and connect use that to back to your personal internet connection. The AVM Fritzbox, which is very popular in germany and often handed out by ISPs, can do IPsec-based VPN for instance. You do have a fair point Adrian. 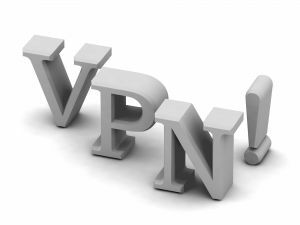 I guess the best approach would be to go with a known provider of VPNs or have one set up for your business yourself. If I had to choose between an internet café in China and a US / UK provider of VPNs then I know what one I would go for. Taking internet security is indeed important, you could take all the precautions, and still someone could have a keylogger on it, and you wouldn’t be secure, for example.